Juventus may see their chances to sign Liverpool midfielder Emre Can hugely decrease as Manchester City are equally trying to secure him. The Bianconeri have been after the German youngster for months and initially attempted an approach this summer, but Liverpool refused to let him go. 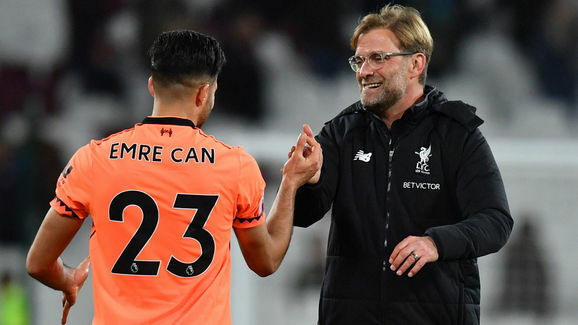 Emre Can will be a free agent next June due to the end of his contract, and this was thought to facilitate Juventus’ negotiations. However, they now must face tough competitors Manchester City, who, according to the ​Star on Sunday, are keen on taking him onboard. The Star reports that the Italian side have little chances to compete with boss Pep Guardiola, whose table-leading outfit represents a much more fascinating choice for the 23-year-old. Manchester City have targeted him as the replacement to Yaya Toure, who, last month, was rumoured to be on the verge of joining the club’s sister team in the MLS, New York City FC. Experience in PL & CL. Disastrous if Emre Can goes for nothing. Can arrived at Anfield three years ago on a £10m-worth deal from Bayer Leverkusen, and has since become a popular player for Jurgen Klopp’s team. His good relationship with fellow countryman and boss Klopp, however, does not seem to be enough for him to keep him at the Merseyside club. It was Klopp himself who recently said about him: “It’s allowed that he could sign a contract with us in May. I have no problem with that. When Can will have to make a decision about his future, Juventus hope that the presence of German Sami Khedira in Turin could help him choose the Italians instead of Manchester City.